Boy, oh boy is it going to be a cold weekend in Louisville this week, BUT don’t let that keep you from getting out and enjoying some of what the city has to offer. I mean, hell if we survived the 0 degree temperatures last night and this morning 30 degrees should feel next to tropical. Take a walk down the yellow brick road with the crew from Centerstage at JCC and see The Wizard of Oz. Tickets $20 in advance; $22 at the door, with show beginning at 7:30 pm. Journey across the bridge for Leinenkugel Snow Drift Vanilla Porter Pint Night at Live on State ie. Wicks on State Street in New Albany. Buy the beer, keep the glass! Join the Original Highlands Wicks Team for West 6th Pay It Forward Cocoa Porter Pint Night. For every six pack bought at, West Sixth will give $0.50 to organizations doing great work in our community, beginning at 7:00 pm. Kick your weekend off with burgers and beer when Daredevil Brewing Company takes over the tap at Big Four Burgers & Beer. The Critters and Creatures exhibit opens this weekend at Revelry Boutique Gallery, and in true NuRev fashion with a little party, fun begins at 6 pm. Join McQuixote Books & Coffee for the second installment in the Portland Poetry Series, featured poets this month will be Adriena Dame, Eli Keel, Christina Howard, and Brandon B Shatter Harrison. Begins at 7 pm. In other words the theme of this weekend is drink a lot, eat just as much food, and stay warm inside with a party or two. 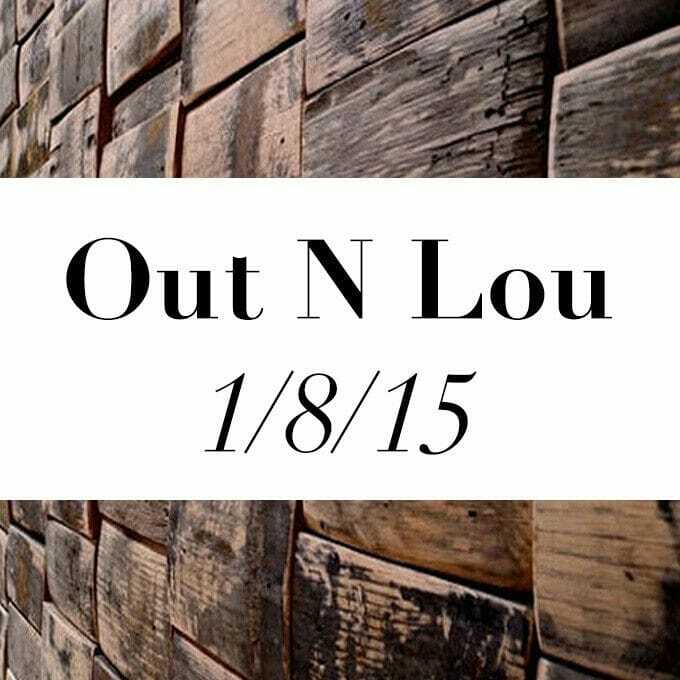 As always, see what I’m up to at #OutNLou, and keep tagging your photos with the same. I love getting to see how other get out in our beautiful city. Last but not least, stay warm!